Sri Lanka Tour by Tuk Tuk. Tour Sri Lanka in a Tuk Tuk to enjoy the island and its beauty as you may get lot of experiences that is offered only here. There are two options available as the first one is to hire your own Tuk-Tuk with a driver to make round tours or to get trained and to get your rental tuk tuk to make the trip around Sri Lanka's important tourist destinations. 3 tourists are allowed to sit inside the vehicle and to make the tour. You can ask the driver to stop at any desired point to stop and watch the activities around there or to have a chilled Coca Cola by the road side shop. Take note that a driver can take 3 passengers only in the three wheel by the law. Your private driver service charge, his accommodation and meals should be provided by the guests. 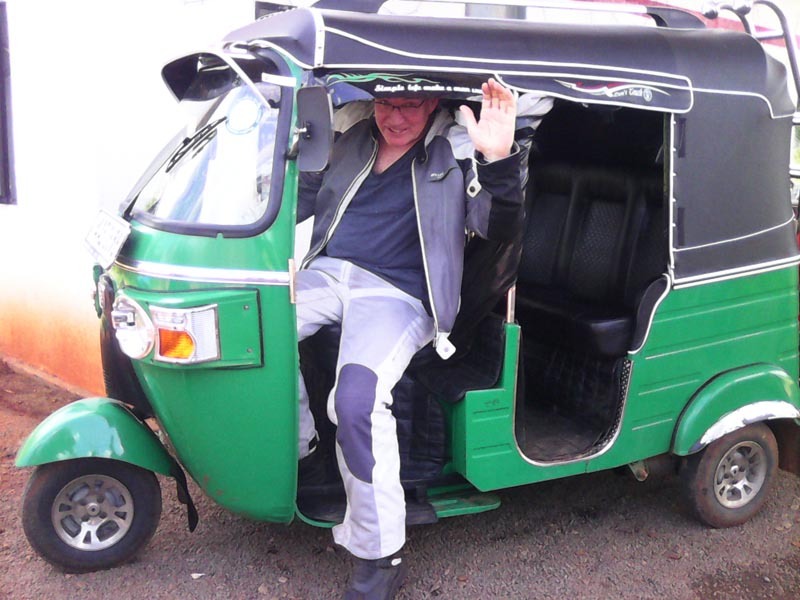 Ready to tour Sri Lanka with a Tuk-Tuk? Apply and get Sri Lanka online visitor visa before you board the flight. Arrange your tour plan with us. We will assist you to book good hotel rooms or good rooms in Guest houses on twin sharing basis on your travel route as this will save lot of money for you. When you land at the Colombo Airport, we will be there to receive you at the arrival lounge. We will take you to Negombo from the Colombo Airport. 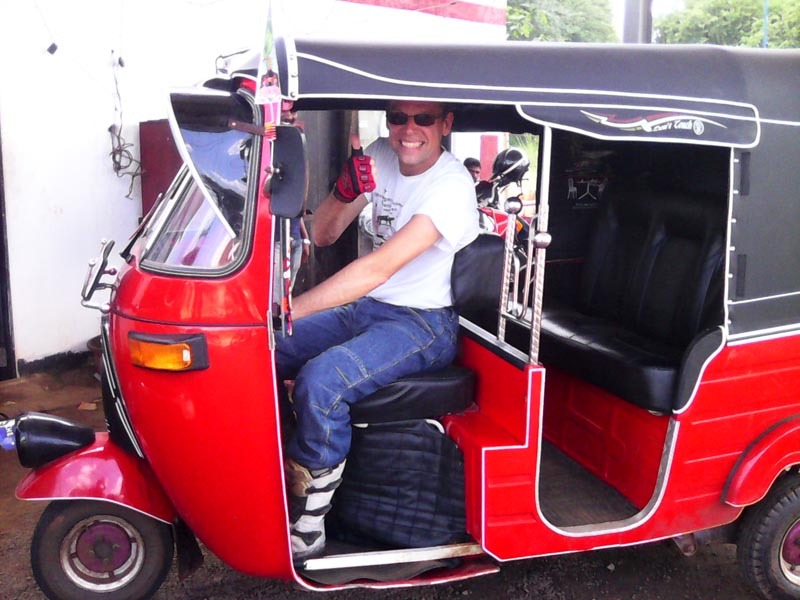 We will provide the Tuk Tuk and the private driver or Tuk Tuk with proper documentation. Our three wheel will be available on daily rent basis. Fill gasoline and drive as much as you want as there is no mileage limit. Do you want self drive the tuk tuk? We will provide necessary training and will assist you in obtaining the necessary documents. So inform us as soon as possible for us to prepare necessary papers and the roadworthy vehicle. They are provided with self-start and manual starting facility, manual transmission with reverse gear. Head lights, night lamps in the rear end with brake lights. There is small space to have your travelling bags in the rear of the back seat or in the footer. If you number four persons then it is a good idea to make your own trip as per your wish, where one of you will be the driver. This offer is good for low budget Backpackers, board surfers and wind surfers. Where to Book your Tuk Tuk? Use the web form in this web site. 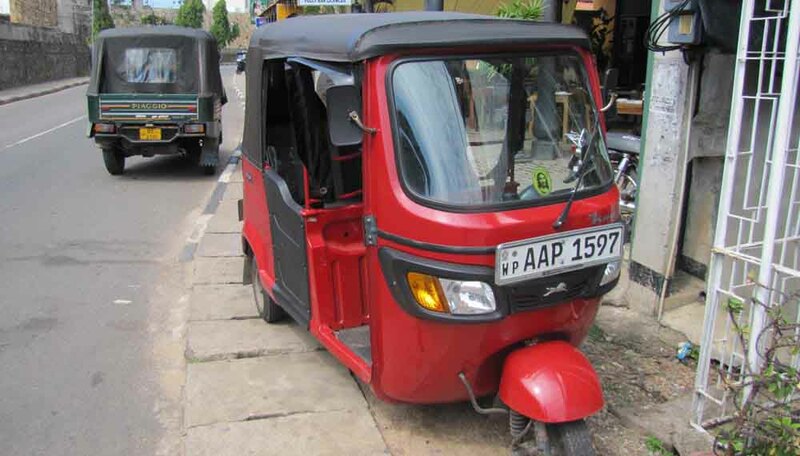 Tuk Tuk Rent in Sri Lanka.